A few musical notes before our final day of hiking around Zion National Park. A few notes from our concert at the San Diego History Center Gallery, Balboa Park. 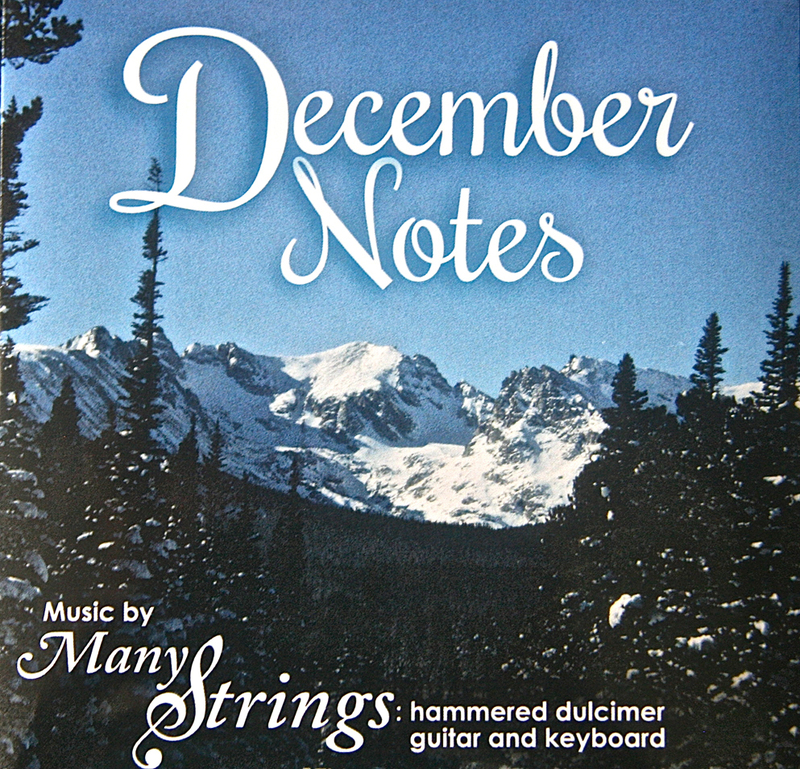 Many-Strings: hammered dulcimer and guitar. Many-Strings enjoyed sharing music for the San Diego History Center's celebration of San Diego's birthday. Thank you Gabe! 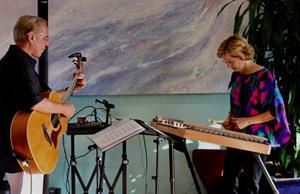 Many-Strings enjoyed a wonderful two-day gig at the Ragged Point Inn and Resort in southern Big Sur. Thank you Linda for the opportunity. The BBQ, espresso bar, and ice cream were fabulous, and we enjoyed your international collection of tourists. A very fun gig indeed! A sunny 2017 Yosemite Spring day! 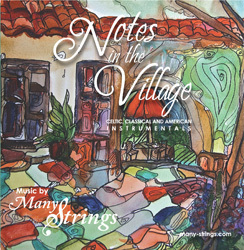 Beautiful hammered dulcimer and guitar melodies for Spanish Village...on a gorgeous day, Summer 2012. Many-Strings. Many-Strings shares a contemporary melody and a traditional Irish tune..
We were honored with a request to perform for Dr. Munk's 98th birthday, at his beautiful outdoor stage overlooking the Pacific Ocean. Dr. Munk is a UCSD professor emeritus, Oceanography. His research has led to a better understanding of the Moon's position and its effect on the Earth's oceans, the science of tides, waves and sound in the ocean, and much more. Thank you very much for the honor! Many-Strings had the pleasure of performing this summer in the Big Sur Lodge, a very beautiful venue. Thank you very much Rene for the gig and your kindness and generosity. We hope to return sometime soon. A few moments from a busy Sunday gig at Point Loma's public market...with Noah, Oliver and Sophia et al in attendance. Jamie (hammered dulcimer) and Chris (guitar) presented a program that sampled and celebrated the roots of American Folk music. This video samples that program, which included medieval, Renaissance, and Baroque music. Also music from the British Isles. It concluded with traditional and contemporary folk tunes. The Serra Museum is located in Old Town, San Diego, CA. Thank you Becky and Lori for hosting us in your wonderful and totally delicious Upper Crust Bakery. Many-Strings entertains our Chico family and a lot of other folks at The Tin Roof in Chico, CA. Jamie on hammered dulcimer, Chris on guitar. In August 2013 Many Strings was honored by an invitation from Gary and Emma Koeppel to perform at their beautiful Coast Gallery. We have enjoyed this artistic center for decades and playing there was especially fabulous. Jamie (hammered dulcimer) looked out on the blue Pacific while I looked at the gorgeous redwoods. Many-Strings performs for San Diego's beautiful Mission Trails Park. Thank you Mits, Chuck and Jay for the opportunity and support. We had a great time. Magnus and Sarah honored us with an invitation to play a few sets at the Henry Miller Library. This is a wonderful venue that celebrates the work of Henry Miller, Big Sur, and thoughtful reflection. Thank you! Jamie: hammered dulcimer, Chris: guitar. Many Strings, San Diego, CA. A slide show of a few of our musical experiences, including Many-Strings (hammered dulcimer and guitar duo), and our "History Through Music" and Classical Music Presentations. A few notes from a four hour set in Spanish Village. Thank you Linda for the camera work! Festive and seasonal melodies for Balboa Park's Spanish Village celebration of the holidays. Jamie: hammered dulcimer, Chris guitar, Many Strings, San Diego, CA. A few of the holiday tunes that we enjoyed sharing during our December Notes concert at Mission Trails Regional Park. This is a park that inspires us to pad down many wonderful paths, and play beautiful music. Solo notes from Jamie's hammered dulcimer. Many Strings, San Diego, CA. Jamie and her hammered dulcimer provide a few notes for our favorite Palm Canyon campsite that was washed away during a summer flash-flood. Many-Strings provides music for the San Diego History Center Art Gallery. A beautiful day in San Diego's Balboa Park's Artist Village. Jamie on hammered dulcimer, Chris on guitar. A few moments from a concert at the Point Loma library, March 4th' 2015. Thank you OASIS and Christina at the Point Loma Library for a wonderful afternoon. Many-Strings sharing beautiful acoustic hammered dulcimer and guitar music in Balboa Park's Spanish Village on a sunny August 31, 2012 afternoon. Many Strings, San Diego, CA. A slide show with Chris and Jamie playing the Irish tune "Curlew Hills." Song originally taught to Jamie by Cliff Moses at the Summer Solstice Music Festival in Calabasas, California. Jamie: hammered dulcimer, Chris guitar. Many Strings, San Diego, CA.